I guess the first appearance of Chrissie’s and my comic strip ‘The Lighter Side’ didn’t prompt readers to march towards the Dark Side offices waving burning torches like a scene from the 1930s horror movies we lampooned, because the January issue features our second collaboration, this time a nod to a more recent British classic. As previously mentioned, you can see more of Chrissie’s work at her own website, Chez Chrissie, and support her webcomics via Patreon. It’s still early days, so any support from Dark Side readers is very welcome. You can contact the editor, Allan Bryce, via allan@thedarksidemagazine.com. Had a rather busy Saturday. 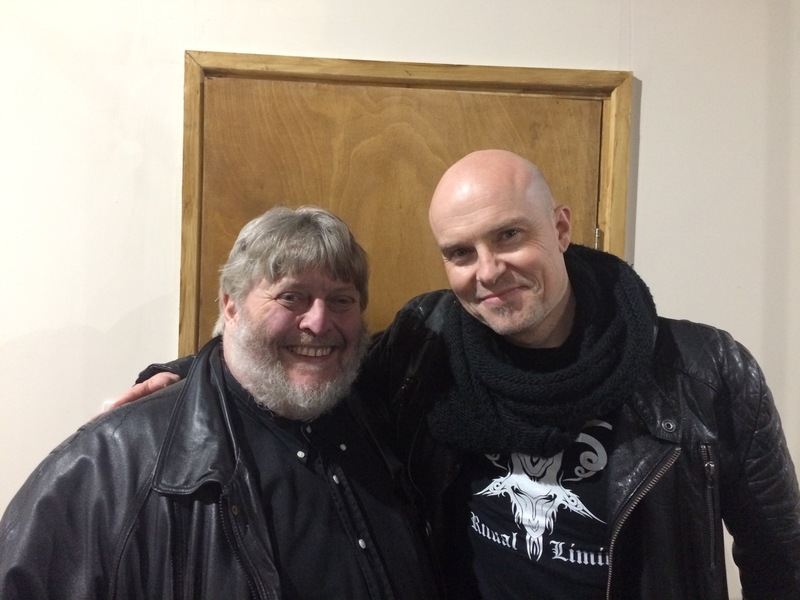 Even as I was driving into Birmingham for the latest gathering of the Birmingham Horror Group at the Gunmakers Arms, Lee Bannister was introducing Chrissie’s and my report from the Blue Orange Theatre for Made in Birmingham TV’s Birmingham News Weekend Magazine. Shortly afterwards, I was on stage with author Adam Nevill, discussing his influences, his new novel Under a Watchful Eye (a terrific read, by the way) and the impending movie adaptation of The Ritual, which had only been announced two days earlier. The conversation was filmed for use on two separate Made in Birmingham TV shows, the general material for Lee and the film-related footage for his colleague Carl Jones’ daily cinema slot. In addition, the interview will be transcribed for a forthcoming issue of the magazine Fear. The first of Chrissie’s and my reports from the Blue Orange Theatre on its latest production of Lady Chatterley’s Lover aired on Saturday, as part of Made in Birmingham TV’s Birmingham News Weekend Magazine. To my surprise, presenter Lee Bannister announced the second will be broadcast next weekend (I’d expected it to be held back until 18 February). Above, you can see me in conversation with the play’s director, Tina Hofman; in the follow-up, I talk to actors Abi Castleton (Connie Chatterley) and Marcus Fernando (Oliver Mellors).